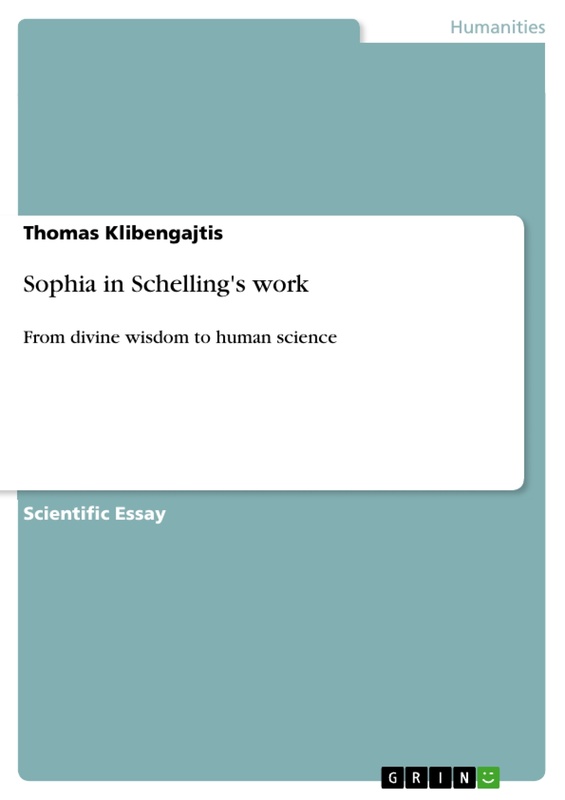 For Schelling, human wisdom means taking part in creating life of the Absolute where wisdom, as God’s first potency, dwells, and from where it starts to work in and through the world. Therefore, in order to depict Schelling’s doctrine of wisdom, we first have to outline his conception of the Absolute [das Absolute], followed by the doctrine of potencies and concluded by the theory of Wissen, that is, knowledge. The idea of wisdom will be present on every stage of these considerations. However, in order to achieve a synthesis, one has to start with the analysis. It is stated that every great philosopher has had only one essential idea which they later developed in a system. 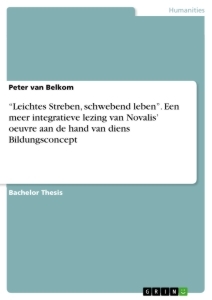 The Leitmotiv of Schelling’s system, even if he is said not to have developed one, is the idea of the Absolute. It is already sketched in his earliest work, where he tries to solve aporetic difficulties resulting from the Cartesian, Kantian and Fichtean subjectivist-idealistic approach. 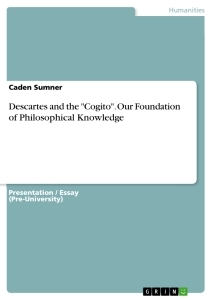 Descartes located the ground of reality and thought in the subject’s flow of consciousness, if one may translate the famous cogito ergo sum in such a fashion. In his methodological skepticism, borrowed from Augustine’s “si enim fallor, sum,” Descartes reckons that even if the subject doubts everything, he cannot doubt his own activity of doubting. From this point of view he construes the proof for the existence of God as a being more perfect than the doubting subject. Since the existence of the subject is self-evident and the existence of God results from the imperfection of the first, it is the existence of the world which should be proved. According to Descartes, the subject can only be sure of ideas and notions contained in his reason. At least some of them have to be true, because God, being perfect and veracious, would not place entirely false ideas and notions into the human mind. Hence, without the certitude of God’s existence nothing external to the subject’s mind can be proven. It is essential to emphasize this idealistic and subjectivist turning point in the history of philosophy. According to Descartes the I is the substance. By “substance” he means, in line with the scholastic tradition, something which stands for itself and exists in itself, contrary to the accident which exists in something else. Certainly nobody before Descartes doubted that, for instance, a single human being or a single chair is a substance. However, substance, understood as a single flow of consciousness, independent from the body—since Descartes rejected the testimony of the senses, and independent from the external world, which could be a work of a malignant demon—is something crucially new in the history of philosophy. Hence, according to Descartes, substance is nothing which exists outside the perceiving I as something independent from it. It is, therefore, only the I that can define what is real or unreal. Whereas in the pre-Cartesian epoch nobody, following more or less the sensual cognition, truly doubted the reality of the world, since Descartes the world has had to ask the subject’s permission to enter into its mind. Even the epistemic solutions of ancient Skepticism—such as the suspension of judgement [epoché], which resulted from the equal contrariness of the given opinions [izosthenēs diafonía]—aimed only to help individuals achieving their peace of mind [ataraxía], not to question the reality of the external world. Contrary to the Cartesian subjectivist skepticism, the ancient Skepticism was a realistic one. According to the latter doctrine nobody should worry about a reality he cannot properly conceive, which, however existing independently from the subject, exerts influence on it. Immanuel Kant begins his theory of Pure Reason with an analysis of the Cartesian point of view, according to which we have only access to ideas and notions of our own mind. Hence, for Kant, “pure”— a priori —means “independent from experience.” Experience—according to the philosopher from Königsberg—implies no necessity. In regard to experience we have to say that we did experience things in this concrete way until now, but we cannot claim that nobody, nowhere and never will experience them in a different way. Therefore, the inductive method does not comprehend all cases, but only the percentage examined until now. Hence, experience cannot sufficiently serve to develop science, since it has to contain universal and necessary propositions. For these reasons Kant developed his own theory, which did not start its epistemological approach from the experienced things, but from reason. This kind of philosophy Kant called “transcendental.” Since, according to him, things outside reason [die Dinge an sich] are in-cognizable, we do not experience things outside our minds directly, but only through representations, intuitions [Anschauungen] and categories of reason. “We necessarily attribute to things a priori all the properties which constitute conditions under which alone we can cogitate them,” writes Kant. The subject is therefore active not only in reading, but also in creating the reality which is always its subjective reality. No objective reality exists as such, nevertheless the objectivity or trans-subjectivity of knowledge is granted by the sameness of the subject’s categories. The Kantian division of reality in representations and things in themselves shifted the ontological center of gravity to the I, since its mental content is, in a way, more real than the experienced things.
. J. Kirchhoff, Friedrich Wilhelm Joseph von Schelling (Reinbek bei Hamburg: Rowohlt, 1988), p. 58. Xavier Tilliette, one of the foremost Schelling experts of the twentieth century, regards in Schelling’s main work his philosophy not as a system, but as “philosophy in the making” (philosophie en devenir). See X. Tilliette, Schelling. Une philosophie en devenir, 2 vols. 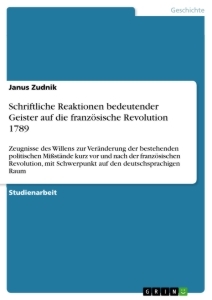 (Paris: Vrin, 1970).
. Vom ich als Prinzip der Philosophie oder über das Unbedingte im menschlichen Wissen (1795).
. Schelling’s philosophy as the overcoming of Kantian philosophy is depicted in M. Frank, Eine Einführung in Schellings Philosophie (Frankfurt am Main: Suhrkamp, 1985), pp. 23-47.
. Descartes, Discours de la méthode pour bien conduire sa raison et chercher la vérité dans les sciences (Paris: Vrin, 1987), pp. 31-32 (IV.1 according to different Descartes editions).
. Augustinus, De civitate Dei, Liber XI, cap. XXVI, in B. Dombart and A. Kalb, eds, Corpus Christianorum (series latina) 48 (Turnholt: Brepols, 1955), pp. 345-346.
. Descartes, Discours, pp. 33-36 (IV. 4-5).
. Ibid., p. 39 (IV. 8).
. Ibid., pp. 32-33 (IV. 2).
. Cf. Aquinas, “Summa theologiae. Pars prima, Queastio 3, Art. 5 ad 1(substantia enim est ens per se subsistens)” in R. Busa, ed., S. Thomae Aquitatis opera omnia, 2 (Stuttgart-Bad Cannstatt: Frommann-Holzboog, 1980), p. 189.
. Ibid., “Summa theologiae. Pars secunda, Q. 53, Art. 2 ad 3,” p. 422.
. Immanuel Kant, Kritik der reinen Vernunft. Introduction 1, in Kant-Werke (Berlin: Reimer 1904), p. 45.
. Ibid., Introduction 2, p. 47.
. Ibid., pp. 27, 78. Paper on Schelling's view on wisdom considered as a holistic approach towards philosophy, science and life. Epistemological survey on Schelling's predecessors i.e. Descartes, Kant and Fichte gives an introduction towards Schelling's own views.